Designed for both the Istanbul readership and international visitors, the annual Tanpinar Literary Festival includes an intensive fellowship program for publishing professionals of other cultures. Fellows in the 2016 Tanpinar Literature Festival program visit Istanbul’s Archeological Museum Library. The Istanbul Tanpinar Literature Festival (ITFL) had its eighth iteration this year, May 8 to 15, and hosted 16 international authors, 33 Turkish authors, and 19 professional publishing fellows. ITFL’s 2016 theme was “City and Voices,” which references the many music events that took place during the festival in different venues of Istanbul. The festival’s opening ceremony took place at the Dimitrie Cantemir Romanian Cultural Centre, and ITLF events were hosted in several venues in Istanbul. The schedule included writers’ reading sessions, panel discussions and events staged in association with FABİSAD, the Fantasy and Science-Fiction Arts Association. There were themed events on digital literature, poetry, and short stories. Audiences were invited to attend music recitals and literary performances after events, free of charge. ITFL every year publishes an anthology of festival authors’ short stories. The 2016 anthology, Sehir ve Sesler, is a collection of texts on the “City and Voices” theme, and it’s to be distributed in national and international book fairs now. Many at the festival were given copies of the anthology. 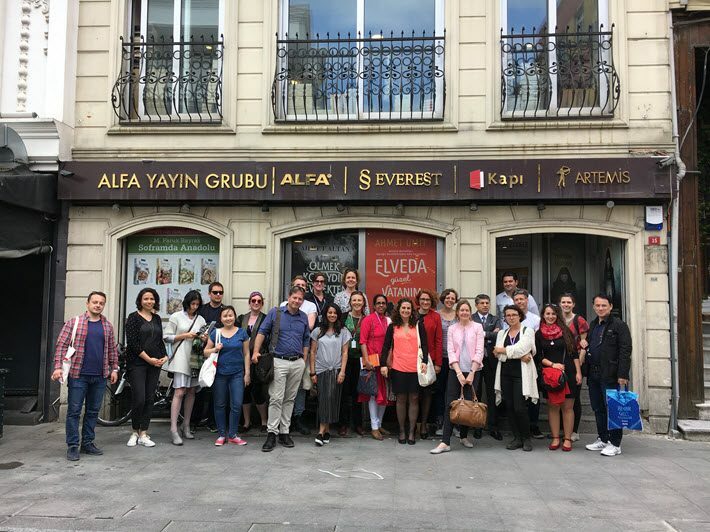 This year, ITFL’s fifth professional publishing fellows program gave its 19 participants a chance to learn the Turkish publishing market, in meetings with more than 20 publishers. Publishing associations made presentations about Turkish publishing and organized networking events for the fellows, who also had the chance to meet several prominent Turkish authors and ask about careers in writing in Turkey. The Archeological Museum’s Library, not open to the public, was the site of one session for the fellows, who had a chance to see some of its 20,000 volumes—among them many valuable first editions and antique manuscripts. Tim Bartlett of St. Martin’s Press said, “The ITEF Fellowship was a world-expanding experience for me. The quality and diversity of the fellows, the depth and range of the Turkish publishers we met, and the energetic leadership of the team who ran the fellowship all amounted to something even greater than its impressive parts. 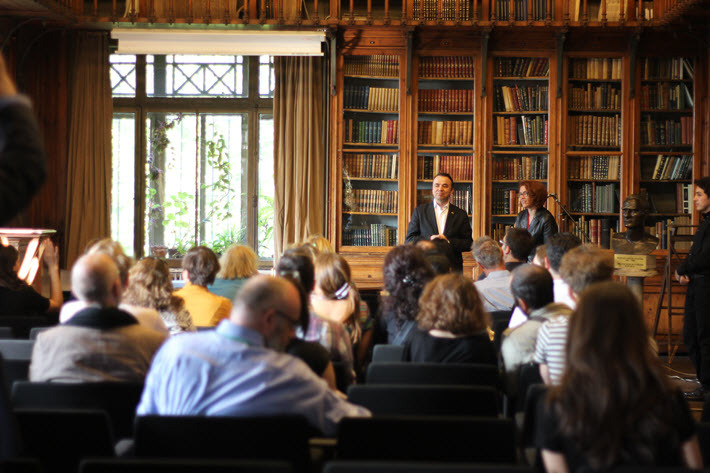 The Tanpinar Istanbul Literature Festival’s 2016 fellows and associates met with more than 20 publishers during their introduction to the Turkish publishing market.